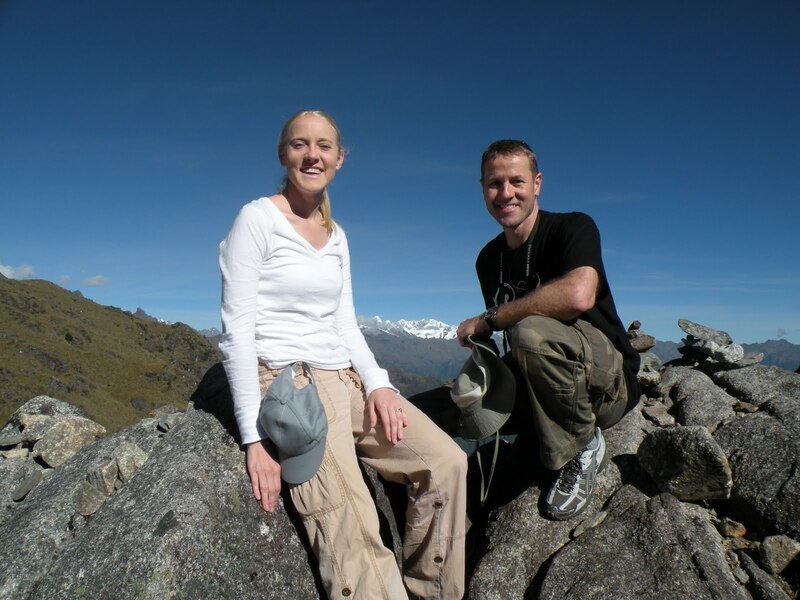 While Jess and I were hiking the Inca Trail this week, we developed a list of observations. Some are new revelations, some are simply confirmations of things we already knew but that were brought home to us in new ways. Below are some of our “takeaways” from the journey. You can go farther than you think. The trail pretty much pushed us to the point of exhaustion several times each day. We never once thought about quitting (not that this was an option) but we got REALLY tired. Calves, thighs, shoulders and feet take a beating. Air is very thin the higher you go and breathing with less oxygen complicates everything. Add in the extreme physical exertion and you burn a ton of calories. By the way, foods rich in protein are essential – we ate a ton! One advantage of climbing this time of year is cool weather. Camping at night in a 6 by 6 tent when it is cold is another thing altogether. Heavy sleeping bags and warm hats while we sleeping helped. During the day, it was hot in the sun while we were at lower altitudes which caused us to lose a lot of fluids. This is why we had to carry so much water, it was recommended that we drink 2 liters every day. Keeping ourselves hydrated, strong and healthy made the trip manageable. If the trials of your journey make you want to quit, concentrate on some basic aspects of continuation – you can go farther than you think, despite the obstacles. It’s easier when you go with someone. It’s better to share the experience than going it alone. We were part of a group of 16 hikers. While I didn’t spend much time interacting with the others, Jessica and I were pretty much inseparable. We encouraged one other, laughed with each other and complained about aches to each other. I would never want to have an experience like this without someone I love with me. It made the trip so much more memorable – something we will never forget. Don’t do life alone. We need each other. Slow, steady with breaks is better than full speed. Our guide, Henry told us about an annual race of the Inca Trail that used to take place years ago. Professional runners from around the world, as well as local porters would gather to see who could finish the course first. The record is 3 hours and 37 minutes! This is a 26 mile, unbelievably challenging course that took us three and one half days to hike! Of course we stopped at various ruins sites but the thought of running the Trail is astounding. For us, it was not about speed. It was slow going, pacing ourselves. If we had gone fast, we would never have made it. Life is not a sprint, it is a marathon. Pace yourself. Otherwise, you will burn out and quit. Although our trek was not a race (everyone was encouraged to go at their own pace), Jess and I were the first trekkers to complete the journey, we arrived at Machu Picchu with our guide before the other hikers. Not bad considering I was the oldest hiker by about ten years. No, it was not a race, but it feels good to win! Take care of your feet, change shoes. We both got blisters on our feet but we had good first aid treatment with us in our packs and made the necessary adjustments. We changed shoes which meant the extra weight in our packs of extra boots/shoes. It was well worth it. Sometimes, it’s about the socks. One day, Jess wore regular athletic socks rather than good wool-blend hiking socks. That’s the day she got a blister. She was able to change and her feet improved. The lesson is, there are just some things you can’t scrimp on. You will pay in the long run. Make sure you invest in quality essentials. You have to take time to look back. Obviously, when you are climbing uneven, slippery steps, you have to focus on what is just ahead of you. But every few minutes one of us would stop and say, “whoa, check out that view”, as we looked back. Where we had been was awesome, but we could have missed it had we only looked ahead. Take time in your efforts to recall what got you where you are. Even though we don’t plan to backtrack, it is inspiring to see the beauty over your shoulder. Take a look from time to time. Come back soon for part 2 of Inca Trail Takeaways.